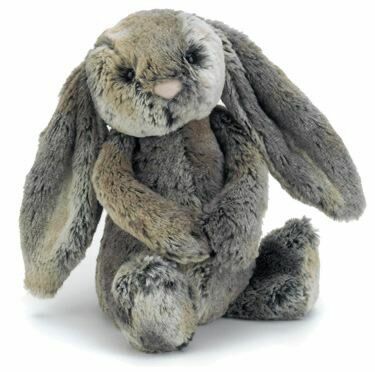 Take this cute little bunny by the paw and swing him along by his long arms, or curl up with him and make sure he is well looked after. He has beautifully soft brown and grey mottled fur, a cute pink nose and an even cuter bunny tail. This Bashful little rabbit also has beans at the bottom, meaning he can sit up on his own and keep you company. Impossible to resist!